The Samsung Galaxy Ace, its one of the largest selling budget Droid by Samsung. It offers a decent set of specifications. Powered by a 832MHz processor it runs on Android 2.3 Gingerbread. 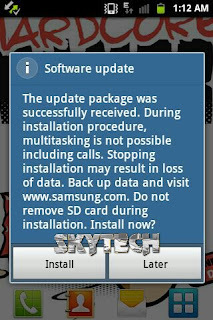 Its been around 2 years since the launch now but still Samsung is providing updates. The latest OTA update is around 26.03mb and bring System Stability and a not smoother experience. Not only this it also changes the Baseband version from S5830iDDLK1 to S5830iDDMB2. The Kernel version is changed from 2.6.35.7 dpi@DELL202#1 to 2.6.35.7 dpi@DELL222#1. The Build number is also being changed from GINGERBREAD.XXLK3 to GINGERBREAD.XXMB1. So that’s all what’s being changed after the firmware update. 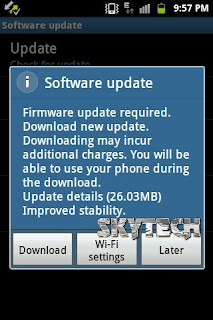 You can update you Samsung Galaxy Ace GT-S5830i via OTA by going to Settings>About phone>System updates or from Kies or nearest Samsung Service center. This update was received by Sandeep Gautum in India.